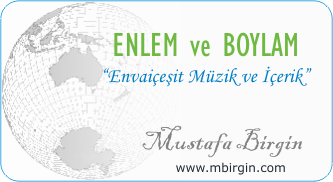 Merhaba değerli dinleyenler, yine yeni bir "Enlem ve Boylam"da, 91 "Enlem ve Boylam"da, "Envaiçeşit Müzik ve İçerik"le, Mart 2016 itibariyle huzurlarınızdayız. The answer became apparent when they had all the information. It was clear to see what the problem was. "Don’t do that! You know it’s naughty," the mother reproached her child. I saw a man running away, pursued by the police. I am very punctual but my wife is always late. Have you got any means of identification with you? It’s vital that all staff have adequate training so that they can cope in any situation. Speak up! I can’t hear you if you mutter like that. The headmaster speaks to the whole school during morning assembly. Bu sayfa, 03/31/2016 tarihinde yayınlanmış ve 2835 defa görüntülenmiştir.